Selig Leasing has been a family-owned and operated business since 1949. We’ve grown to be one of the largest and most respected independent vehicle leasing and fleet management companies for local small and medium-sized businesses in the Milwaukee area. We specialize our services to make leasing convenient for you by providing you with the service you need and want. We handle everything from the acquisition through the sale of the leased vehicle. This includes management services like fleet fuel management, maintenance, 24-hour roadside assistance and more. The size and buying power of Selig Leasing results in lower prices from our suppliers than a typical business can achieve alone. We also pass along fleet rebates and dealer incentives, thereby providing our business customers with lower costs all-around. Selig Leasing has access to every make and model car and truck, domestic and import, new and used vehicles. We currently have leased vehicles in all 50 United States and maintain a large dealer network throughout the U.S. 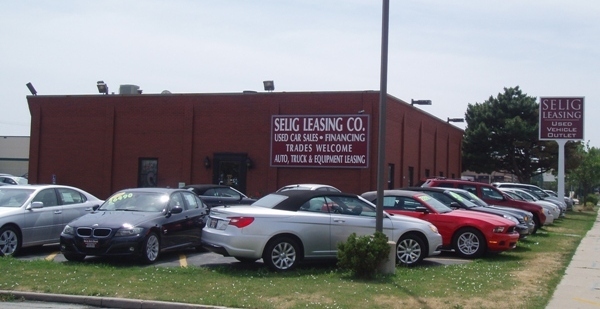 Whether it is a factory order or locating a vehicle out of dealer stock, Selig Leasing works to help you keep your costs low. Our Vehicle Remarketing Department specializes in “retailing” off-lease vehicles, maximizing the resale value – resulting in larger gains for our commercial fleet customers. We manage our own retail lot in Milwaukee, WI. Our owner, Bud Selig has built a solid reputation by always putting the customer first! Meet the Selig Leasing Team or stop by to see what our team can do for your business. Milwaukee Journal Sentinel featured this compelling story about our history.